This badge recognizes the achievement of the Dell EMC Proven Professional Specialist - Systems Administrator, VPLEX Version 1.0 certification. Earners of this badge have the knowledge, skills and expertise in the architecture, management, and operations of VPLEX storage solutions. 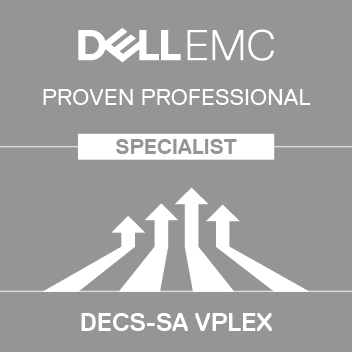 Achieve the Dell EMC Proven Professional Specialist - Systems Administrator, VPLEX Version 1.0 certification.